Want to know how to create colors like the ones you see above? Luckily the artist behind these looks, Jennifer Lopiccolo (@jenniferlopiccolo_hair), happens to be a #ONESHOT nominee AND an amazing educator. Plus, she’s a pro at creating detailed head sheets showing the exact color placement of her gorgeous blends. 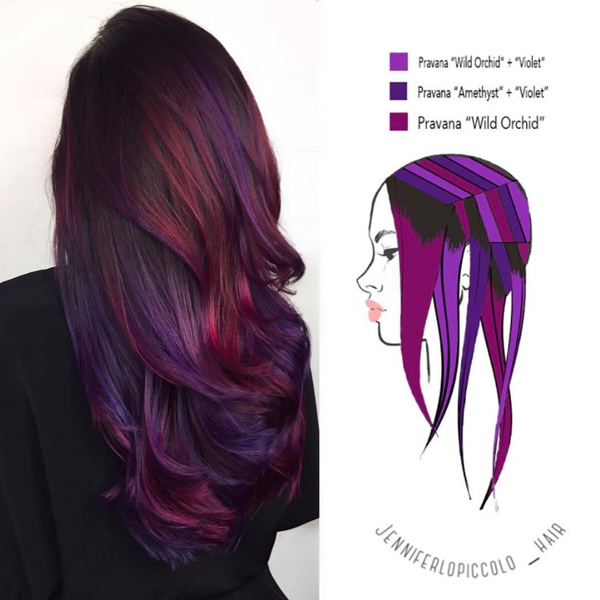 Scroll through the photos above to see some of her most-requested colors, their formulas and the breakdown of her sectioning patterns. You’re welcome! We love this softer take on the unicorn/mermaid trend from stylist and #ONESHOT nominee Jennifer Lopiccolo (@jenniferlopiccolo_hair) that blends pastel purple, blue and rose for a dreamy color melt fit for all your unicorn clients!